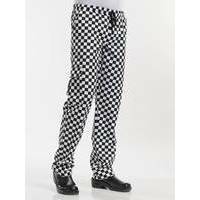 It goes without saying that these loose-fitting Chaud Devant Chef Pants Baggy Domino feel great. They have a handy pocket on the right leg in addition to two slit pockets. 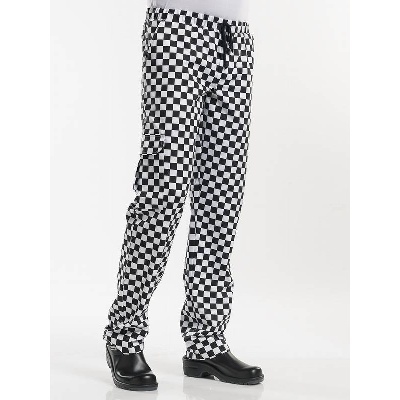 Even though they are unmistakably work clothing, the Baggy pants exude a relaxed and casual look. It goes without saying that this fabric is a show-stopper. 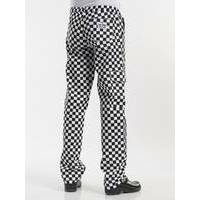 The Chaud Devant Chef Pants Domino are cheery retro pants for lovers of this classic pattern.